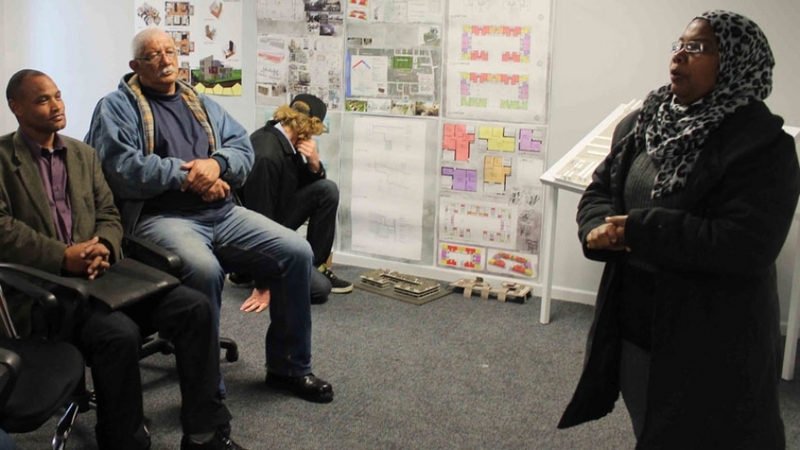 A community crèche, solar panels, water catchment tanks and pedestrian walkways were just a few of the ideas which came out of a student pitching session with Manenberg residents recently. 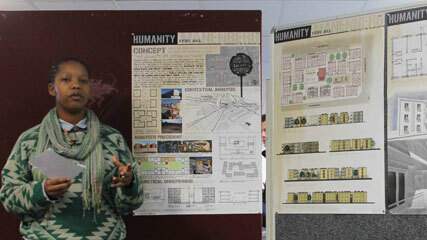 The Manenberg Community Housing Formal Settlement Project tasked Architectural Technology BTech students with designing a better housing solution for the Cape Flats suburb. With issues like severe overcrowding, hygiene concerns and gang violence, students had a tough brief to fulfil. This week students pitched their ideas to Manenberg residents, representatives from theCity of Cape Town and Habitat for Humanity as well as the Community Organisation Resource Centre. Together these stakeholders are hoping a formal housing upgrade will be on the cards soon. Lecturer Wilfried Bohm says the interaction between students and the community was life-changing. “In many cases students went beyond the brief because they were so moved by the plight of the community and wanted to give them the best that they could,” he says. Manenberg resident Na-eema Schwartz says the foundation work for the housing upgrade began in 2006 when they did a door-to-door audit of the area to assess the housing needs. “What we encountered was backyard and front yard dwellers and severe overcrowding in the units,” she says. Almost eight years later the situation is much worse but Schwartz says she is confident that the vision will move from a piece of paper to a reality soon.